After a couple great weeks of Nintendo Download, I admit this one doesn’t have me quite as excited. The biggest reason for that is the vast number of upgraded rereleases that are out, including some collections of games. But that isn’t to say there’s nothing exciting, there is. This week still has a bunch of new AAA games, digital fare, sales and the like. It just lacks that special oomph I wanted. Still, let’s take a look at what’s new this week. 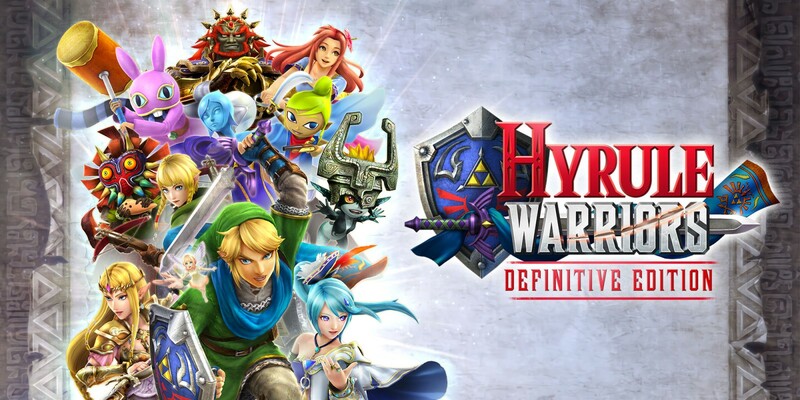 The big game coming out tomorrow is Hyrule Warriors: Definitive Edition. I have mixed feelings about this one, mostly stemming from the fact I got it on my Wii U and picked up all the then available DLC, only for them to do a more comprehensive version on the Switch. That said, if you hadn’t gotten into the game yet, this is a good opportunity. If this next game released this week, I would have been much more excited. Yes, none other than Choice Provisions’ classic Bit. Trip series returns in Runner3, officially launching May 22nd (though you can check out my review of it tomorrow). If you like horror, you might enjoy Little Nightmares: Complete Edition. 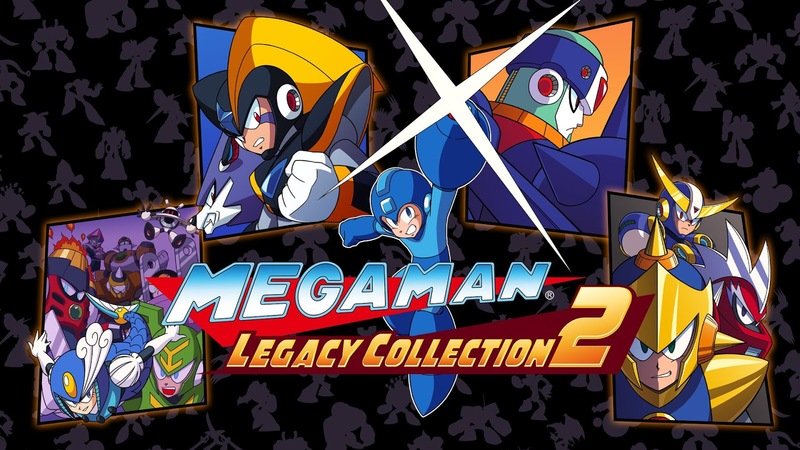 And if you’re a giant blue fanboy, then you’ll no doubt pick up Mega Man Legacy Collection and Mega Man Legacy Collection 2 next week. Much as I love that trusty robot, I don’t love buying the same repackaged game again and again. I’ll start drooling when we get a release date for Mega Man 11. Next up are a couple of sales. 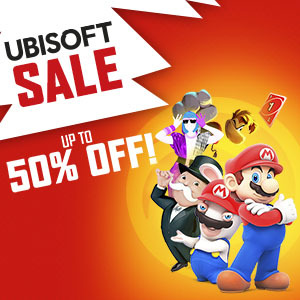 First up is a Ubisoft sale of a handful of games, though I will only cover the two that might interest our viewers. Those games are Mario + Rabbids Kingdom Battle and Rayman Legends Definitive Edition, both for Switch. If you desperately want to see the other 3 games, those lackluster entries can be found here. But that’s not all! The Game Guide is also functioning this week, with a bunch of new titles on sale. If you want a really simple game to unwind with, Totes the Goat (Switch) is discounted to $3.99; for more puzzling, TorqueL -Physics Edition- (Switch) is only $7.49; colorful SHMUP The Next Penelope (Switch) is down to $9.99; frenetic fighter Brawlout (Switch) is a steal at $13.99; Mecho Tales (Switch) won’t ever be cheaper than $0.99; One More Dungeon (Switch) might be worth trying for $6.39; if you like RPGs with friends, Nine Parchments (Switch) isn’t bad at $11.99; the colorful Lumo (Switch) should be checked out at $15.95; if you’re game for old school difficulty, Wonder Boy: The Dragon’s Trap (Switch) is half off at $9.99; for the musical, VOEZ (Switch) is finally on sale for $20; for something strange, Psycho Pigs (3DS) is discounted to $5.96; the delightful PONCHO (Wii U) is well worth owning for $4.99; and finally, if you love platforming, you should pick up Bit. Trip. Presents… Runner2: Future Legend of Rhythm Alien (Wii U) for a low, low price of $2.99! Pretty good assortment. The full list can also be found here. Though there are a couple events mentioned this week, I also mentioned them last time, so you can just check out that Nintendo Download here. Other than that, we’ll close out with the latest digital games worth checking out. Only one game, Disco Dodgeball – Remix, is out next week. Everything else is out today or tomorrow. Remember earlier I said this week had a lot of repackaged editions and collections? Here’s two more – Fairune Collection and FRAMED Collection. What’s that? You want more games that were previously released on other consoles? How about The Banner Saga and White Night? Not enough for you? 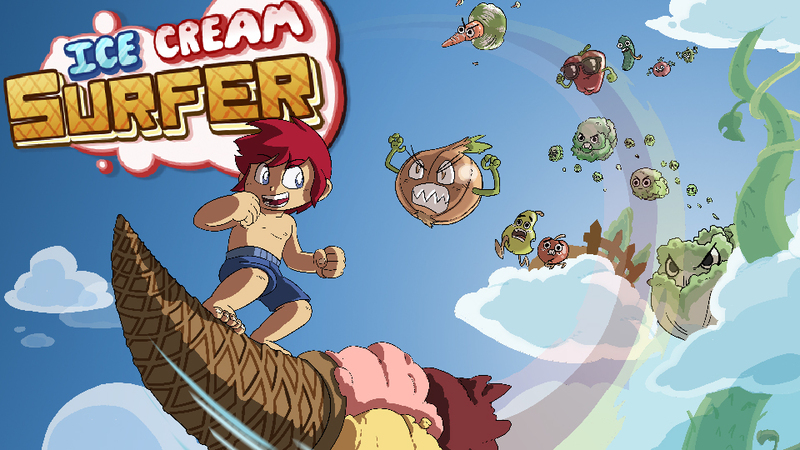 How about Ice Cream Surfer and Yonder: The Cloud Catcher Chronicles? At least I’m pretty sure the last two are original – Invisiballs and Henry The Hamster Handler. Apologies for getting cranky, I sometimes yearn for the days where console exclusives were far more prevalent. I know, not the best week for the Nintendo Download, but far from the worst. There’s always plenty of good games on the horizon. Check in with oprainfall next week for the latest Download, hopefully more jam packed with Nintendo gaming goodness.